Jeff Lipton is a multiple Grammy-nominated mastering engineer and founder of Peerless Mastering. Known for his unrivaled dedication to achieving the best possible sound for every project he works on,Jeff has become one of the most highly respected mastering engineers in the business, amassing an impressive discography covering an extensive variety of genres. Jeff works individually with all of his clients until they are satisfied with the results. Whether mastering archival recordings of Bob Dylan, singles for Bon Iver,or the latest Magnetic Fields record; a Boston-based punk act or an international hip hop artist, Jeff approaches each project with the same enthusiasm and attention to detail. He is committed to achieving the artistic vision of every client to the fullest extent. and building solid relationships with artists through his commitment to understanding and acheiving their sonic goals. This dedication paid off in an ever-expanding roster of clients, as satisfied customers kept coming back and new artists were drawn in by the excellent word-of-mouth. Peerless expanded accordingly, as Jeff acquired increasingly sophisticated equipment and eventually built the incredible facility that is today's Peerless. Committed to having the absolute highest quality technical and acoustic tools at his fingertips, Jeff built his world-class mastering facility from the ground up and stocked it with an array of exceptional-quality digital and analog processors. 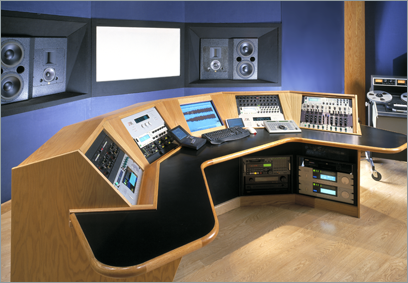 From the ATR tape machine to the Pacific Microsonics converters, the Manley and George Massenberg equalizers to the CEDAR Restoration tools, Peerless Mastering has every tool Jeff needs for stereo and 5.1 surround mastering. Jeff's clients include: Barsuk, Epitaph, Instinct, Jagjaguwar, Load, Merge, Nonesuch, Numero Group, Restless, Rykodisc, Sire, Sony, Southern, Sub Pop, and Thrill Jockey. He has mastered projects for artists: Agnostic Front, Arcade Fire, Battles, Big Star, Big D and the Kid's Table, Andrew Bird, Bon Iver, Burning Spear,City and Colour, Click 5, Dead Milkmen , Divinyls, Dropkick Murphys, Easy Star All Stars, Future Bible Heroes, John Brown's Body, Karate, Ladytron, LCD Soundsystem, Love Language, Lightning Bolt, The Magnetic Fields, Constantine Maroulis, Erin McKeown, Meat Puppets, Stephin Merritt, The Pernice Brothers, Radiodread, Josh Ritter, Roky Erickson,Sebadoh, Soul Asylum, Spoon, The Submarines, Superchunk, Throwing Muses, and Jeff Tweedy/Wilco. Maria Rice is a multi-Grammy-nominated highly accomplished and sought-after mastering and restoration engineer. She has mastered projects spanning a wide range of genres and worked on a number of Grammy-nominated albums. Her restoration skills are second to none, and her credits include restoring many of the widely acclaimed Numero Group albums. Maria has been responsible for the quality control on every project mastered at Peerless during her time here and is increasingly in demand as a primary mastering engineer by a rapidly growing roster of satisfied clients. Her exacting attention to detail and highly sensitive and discerning listening skills make her an invaluable asset to the studio. 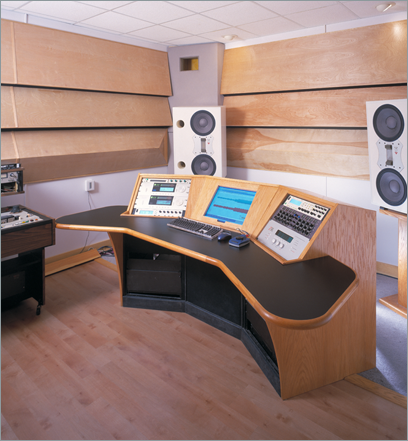 Her commitment to perfecting each project and tireless attention to the clients' vision ideally reflect the Peerless philosophy of exemplary sound quality and customer service. Maria's listening intuition stems from a long-standing and finely developed musical sensibility. She studied classical piano for fifteen years, winning several competitive awards. She is also enthusiastic about electronic music and composes in her own studio.